The two last collaborated 17 years ago! Akshay Kumar, Kareena Kapoor Khan and Karan Johar. 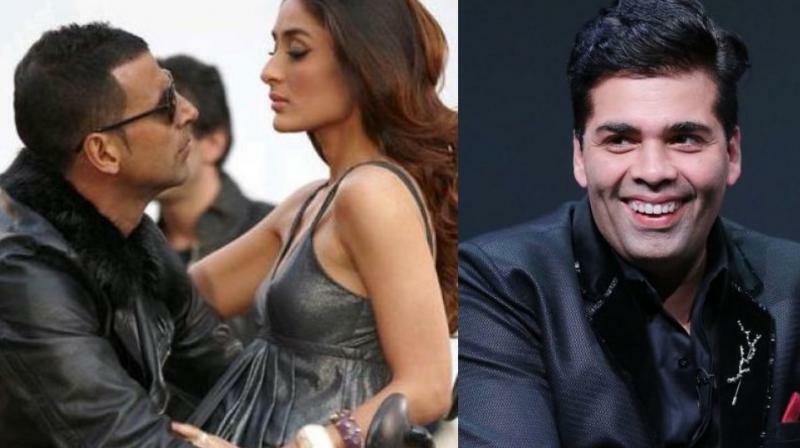 Kareena Kapoor Khan and Karan Johar have always been close friends, with the actress even going so far as to say Karan is like the brother she never had. But their attempts to work together have invariably encountered roadblocks. After their collaboration in Kabhi Khushi Kabhie Gham, in which Kareena played the iconic character of Poo, 17 years ago, Karan offered her Kal Ho Naa Ho. But when Kareena quoted an exorbitant figure as her fee, a hurt Karan stopped talking to her and signed Preity Zinta instead. The two eventually kissed and made up, but another project never materialised. Recently, Kareena was all set to do Karan Johar’s production, Shuddhi, with either Hrithik Roshan or Salman Khan in the lead role. But when both the A-list heroes backed out of the project, it ended up being shelved. Now, we hear that the actress may finally have a chance to work with her muh-bola bhai again. Sources close to Karan’s Dharma Productions say that Kareena has been finalised to play the female lead in Karan’s next directorial undertaking. The male lead is likely to be played by Akshay Kumar. We’re all ears, waiting for an official announcement.